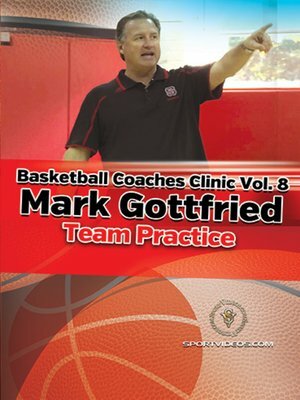 Take advantage of this unique opportunity to see how North Carolina State Head Basketball Coach Mark Gottfried conducts a brief practice session. Among the topics covered are: wIng deny, closeouts, flanker drill (everyday), antiover drill, power lay-ins, one on one rebounding, two on two blockout rebounding drill, shell drill, help and recover drill, man to man offense with no defense, five minute shooting drill, a few tips from Gottfried about his philosophy regarding practice time and objectives and communication. Coaches of all levels will be able to learn some great drills and practice tips, and how to consistently get the most out of their players. Please note that a Dropbox or Google Drive link will be sent to your e-mail address. Please allow up to 24 hours to receive the link.